Thriving in our post-eBay world, we’re emerging from three strategic acquisitions to meld the greatest minds in adtech and performance marketing into one innovation powerhouse. The result? A standalone, full-service performance marketing company that’s redefining affiliate and influencer marketing. 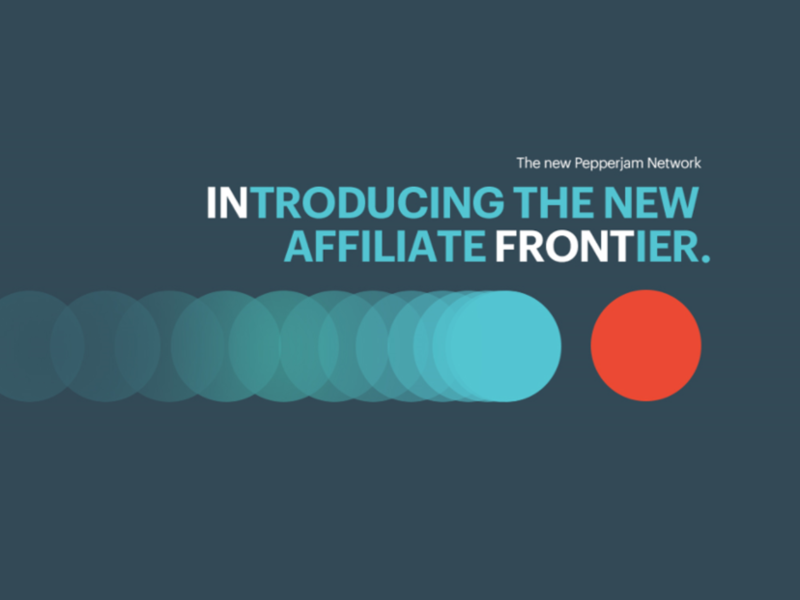 This week we’re launching the first in an unprecedented series of Pepperjam Network updates, new features, and innovative products—each designed to help you stay in front of your customers, your goals, and your day. These features are purpose-built for you, and are based on the thousands of hours we spent listening to your feedback and desires. We took your wish lists, and designed tools to help you gain insight, increase efficiency, and take control. Gain Insight. Influencer marketing is prioritized as a strategy by some of the largest names in retail. In a space where last click takes the prize, influencer campaigns can fall short of a flawless execution. Cue Click Tracking, Pepperjam’s map of touchpoints in the buyer journey and the groundwork for revolutionary updates to come. Our reporting overhaul will recoup hours of manual data comparisons, publisher category specific data, breakdown of publisher contribution in the purchase path, and new, easily accessible metrics. Average order value: AOV measures the total transaction value divided by the number of sales. Set AOV as one of your top three KPIs to promote larger basket sizes. Pro tip: Commission higher on products with a higher price tag driving up AOV using Dynamic Commissioning! Budget: Gain full transparency into your current spend to appropriately allocate funds throughout the month. Being aware of underspend early leaves room for optimization! Click Active Publisher Count: Click active publishers are joined partners that are driving traffic to your site. Monitor the number of publishers generating clicks for your program and incentivize idle publishers proactively. Conversion Rate: Now that you have the traffic, convert it! Conversion rate is the percent of customers that visit your site and ultimately make a purchase. Keep a pulse on your conversion rate for trends in your customers’ activity such as the day of the week they are most likely to purchase. New vs. Returning Customer Percentage: What’s more important to your business—new or returning customers? How does your business define a new customer? These are all pieces of the puzzle to confirm when tracking to this KPI. Return on Ad Spend: Maintain healthy margins within your affiliate program by tracking to ROAS. Alter your commission structure to reward mutually beneficial partnerships or test Dynamic Commissioning rules to increase your return. Revenue Active Publisher Count: More publishers driving revenue for the program often means more revenue. Increase the number of publishers that are converting within your affiliate program by incentivizing traffic drivers with sales goals or testing In-Cart Attribution. Revenue Growth: Track the revenue within your affiliate program to ensure you are on target to meet your goals. Easily toggle to prior months within the interface widget to compare month over month KPI performance. Traffic Growth: Traffic naturally fluctuates within your program depending on promotions, seasonality and publishers currently promoting the brand. Keep an eye on the patterns marking this as a top 3 KPI. Take Control. Dashboard and usability updates will give advertisers the opportunity to strategically plan and confidently execute to reach their goals on the Pepperjam Network in less time than ever before. With the ability to instantly view your top goals and partner performance on the front of the dashboard, you will be in the know regarding your program results just by logging in. With this week’s network redesign and the launch of KPI reporting, we’ve cut through the complexity of the affiliate landscape and demystified the most misunderstood performance marketing channel. We’ll continue to stay dedicated to providing world class service to ensure you get the most out of the new Pepperjam Network technology. We are affiliate, made right. Subscribe to our blog to be the first to know about our upcoming tech announcements.